My life proved his theory as fact. Finding out he had a wife was tragic. Remaining in love with him in spite of her was more tragic. blind dates was an ongoing tragedy. The fire alarm going off each time I cook. But I wasn’t the only one who noticed him. Love led me to this town. Or had life just thrown me another Curveball? “I don’t watch TV at night…” Her voice drifts off, and I know it’s because she realizes I’m going to ask why.And I do. “Do I need to spell it out for you?” She’s trying to sound annoyed, but I can hear the smile in her voice. “What do you do all night?” I ask. The panic in her voice doesn’t make her sound upset about the idea, but afraid. Is it because she likes me? “I am in jeans,” I lie just to get a reaction out of her. “What is wrong with you?” she cries. her crazy and wonderful world. in the pages of books that she both read and created. chocolate. She’s also obsessed with Christmas ornaments and all things Disney. 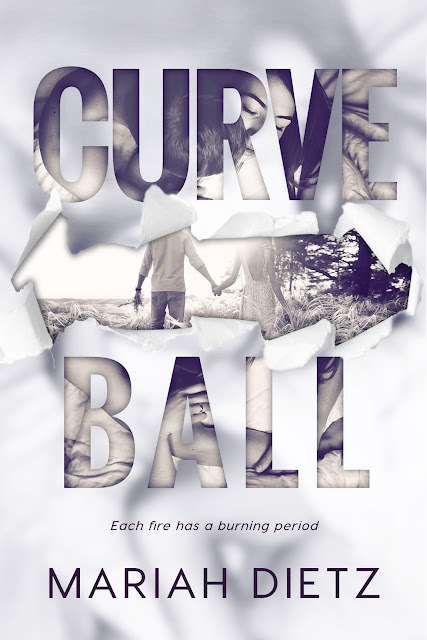 This is my first book by Mariah Dietz and I have to say she blew me away with Curveball. I was intrigued from the blurb, but once I started reading, it was just so much more than I expected. It was a story about finding love where you least expect it and second chances. Ella’s life has not been easy. A single mistake when she was young has turned her life upside down. But her son is her world and she is determined to make a good life for him. Years later, she is ready to move forward and start dating. But living in a town that shuns her, makes it hard for her. I liked Ella. Her son was important to her and she strived to give him a good childhood. She was loyal and caring. Even when some did not deserve it. And Coen. I absolutely loved him. Though he was everything Ella was determined to stay away from, they slowly formed a friendship. He was just so sweet and caring and amazing with her son. Though Ella tries to fight what is happening between Coen and her, as her best and only friend is interested in him, Coen only has eyes for her and her son. This was a slow burn romance that started with friendship. Watching the three of them bond was just so sweet. I must admit, when I read the blurb I thought there was going to be so much angst, and though that was not the case, the story we did get was sweet and beautiful. I loved Curveball. 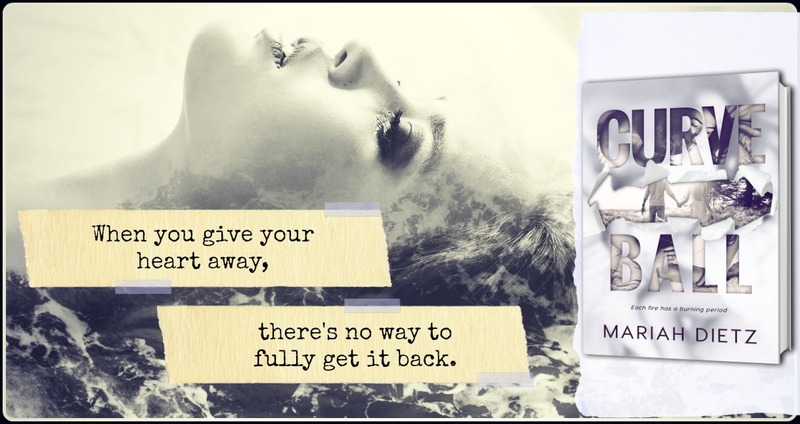 I found it to be such an endearing story about love, hope and second chances. Coen, Ella and Hayden were great characters you cheered for and loved. I was consumed from beginning to end!